On an overnight backpacking trip to Temple Crag I was treated to a fantastically vibrant light show. 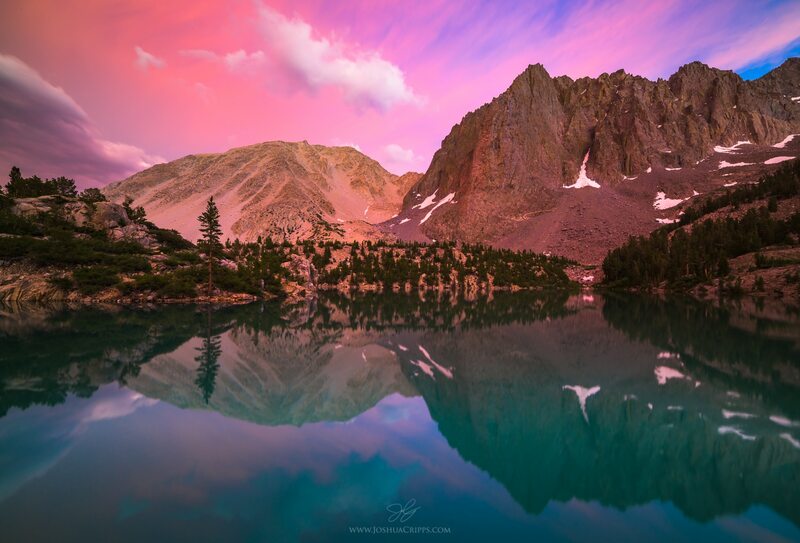 The crazy pink and purple hues of sunset mingled with the deep turquoise waters of Third Lake to produce nearly a full rainbow of colors. See more beautiful Sierra Nevada photos here.